Transparent In-Depth Analytics: Our platform is completely transparent, meaning that you will be able to see which websites you are bidding on in real-time, in the time zone of your choice. One Dashboard: Use our clean backend to manage all of your native advertising campaigns in one place. Fraud Prevention: Every request is scanned by multiple fraud detection technologies to ensure you are only ever bidding on quality traffic. Campaign Duplication: Easily duplicate a RevContent campaign to target Ligatus within seconds, instead of having to use 2 platforms with 2 completely different campaign creation processes. Consolidated Billing: Buying through a DSP instead of each individual network consolidates your billing into one profile. Real-time Stats: Because programmatic advertising utilizes real-time bidding, we have the ability to present your stats in real-time. No need to wait hours to check your stats on 4 different backends, view all of your data in real-time on one unified dashboard. Timezones: Easily check your stats in any timezone of your choice. 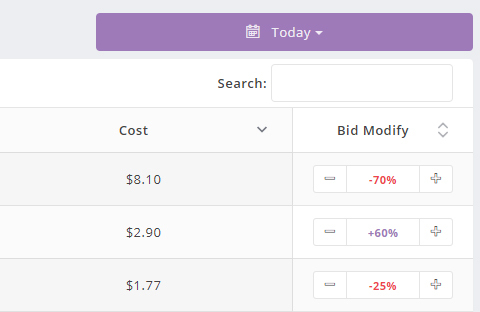 Manual Optimization: Whitelists and blacklists with bid modifications per site. Extra Reach: Already buying from one of our supply partners? Buy more from them by utilizing our real-time bidder. Fast Ad Review Times: Our QA team works 24/7/365 to ensure that ads are reviewed fast, even on a Sunday. Conversion Optimization: By utilizing our machine learning technology, our system will automatically start to favor publishers generating the most leads for you. Service: Due to our programmatic nature, Earnify only works with advertisers, meaning you will have a dedicated account manager available regardless of spend to help you harness our platform. AffiliateFix Promo: Use the promo code "AFFILIATEFIX" to get 20% bonus when depositing $200 or more. Who is Earnify connected to? The above list was last updated Apr 16th 2019. All campaigns must comply with each individual SSPs guidelines, for example, if you wanted to advertise on Taboola - your campaign and creatives must comply with their guidelines.